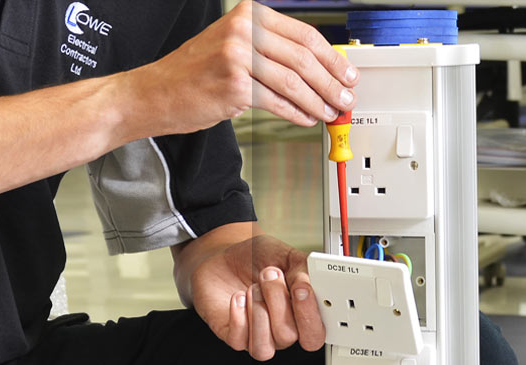 Our electrical expertise covers many industries across Leicestershire and the East Midlands and our professional team of NICEIC trained electricians deliver a wide range electrical solutions. One sector Lowe specialises in is Healthcare; where electrical services can range from design and installation for lighting and small power solutions, on-going maintenance, installation of data cabling systems, featuring state-of-the-art copper and fibre optics and testing of emergency lighting, fire alarms, disabled toilet alarms, lightning conductors and portable appliances. Lowe Electrical recently completed the replacement and upgrade of the main distribution panels at The Caludon Centre, University Hospital in Coventry. This was a comprehensive project complete by our team very successfully. 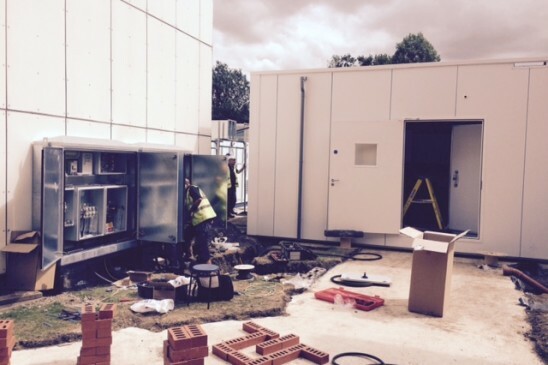 Through previous work with the NHS we are proficient in the installation of small power and lighting solutions throughout hospitals, surgeries and health centres and the supply of stand-by generators for emergency use. In a busy, demanding environment, it is good to know that our Lowe electricians are looking after the electrical requirements for your local healthcare across Leicestershire and further afield. It’s good to know that Emergency Lighting is in place to keep us all safe if the unfortunate happens but, if you manage a system in your organisation, there are some points you should be aware of. Once activated, how long should the light last? Regulations say 1 hour, or 3 hours for larger and more densely occupied buildings or where people are sleeping. However, it is recommended that emergency lighting should be in operation for the length of time it takes to get back to normal. When was the last time you tested your emergency lighting? Check your Fire Precautions (Workplace) Regulations 1997. Codes of Practice provide guidance onhow and when testing should take place. Are your lights in the correct place for safe evacuation? Location, location, location. Check your regulation for lighting levels and escape routes and also for emergency lighting at specific points: alarm points, locations of fire-fighting equipment, first aid point, high risk areas. 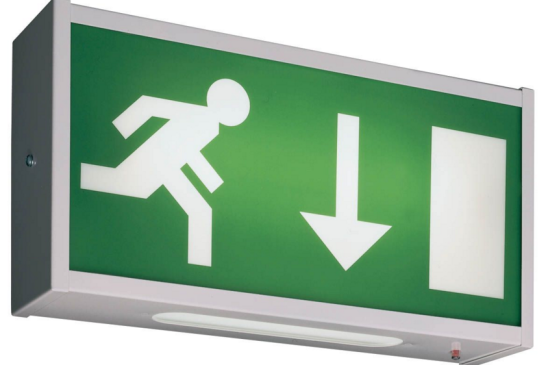 If in doubt or for more information on emergency lighting in your premises please contact our team at Lowe Electrical. We can advise, inspect and install; providing a safe environment for your business or workplace. We have often talked about the benefits of good lighting, but are you aware of the whole range of electrical installation services Lowe Electrical Contractors offer?